GHSLWear® Women Leggins is something you must have...Made out of 100% cotton and Spandex material. Made with a high waist line for comfort, it will be one of your favorite piece..Embodied with our signature logos on the front and side legs. So, stand out amongst the crowd and let them know you represent the "G-Hustle" that lives in all of us. When ordering at checkout include your choice of colors and sizes. Allow 2-4 Weeks for delivery for standard orders and 3 to 6 weeks for custom orders. Allow two business days for order processing. Subscribe To Our GHSLWear® NewsLetter! 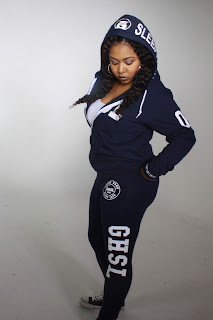 Subscribe To GHSLWear® For News, Events, and Exclusive Discount Offers!